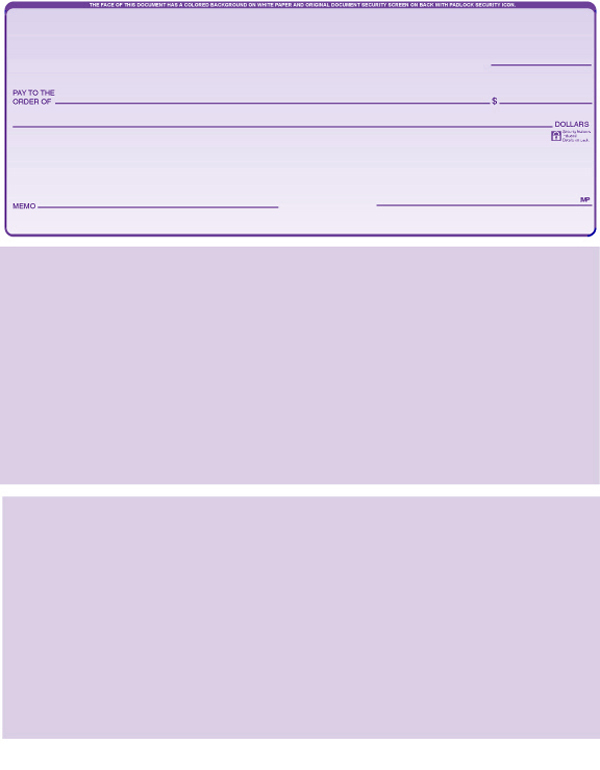 We specialize in laser, continuous and handwritten checks for business. 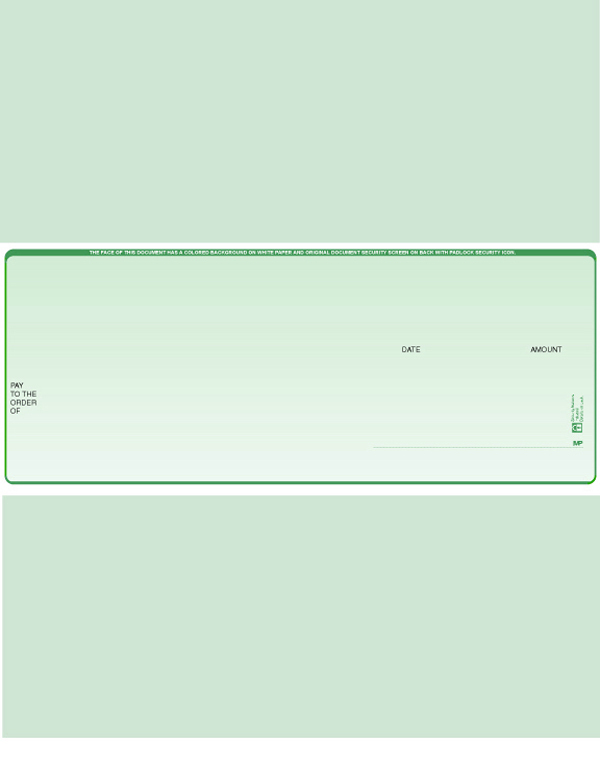 Choose from a vast array of backgrounds with a standard black imprint for an economical selection, or request a custom format to match any software and add unique ink color(s) combination for a specific branding... Checks.org does them all! Our products are printed with a "100% customer satisfaction guarantee", which ensures software compatibility for your checks, supported by knowledgeable customer service representatives which are happy to assist you with any questions or concerns. All check documents are produced in American facilities for integrity and security. Our products incorporate the lastest and proven reliable security features to protect your transactions. Standard security features exceed all banking requirements.